Mayfair Book Auctions | RUGGIERI, Ferdinando. 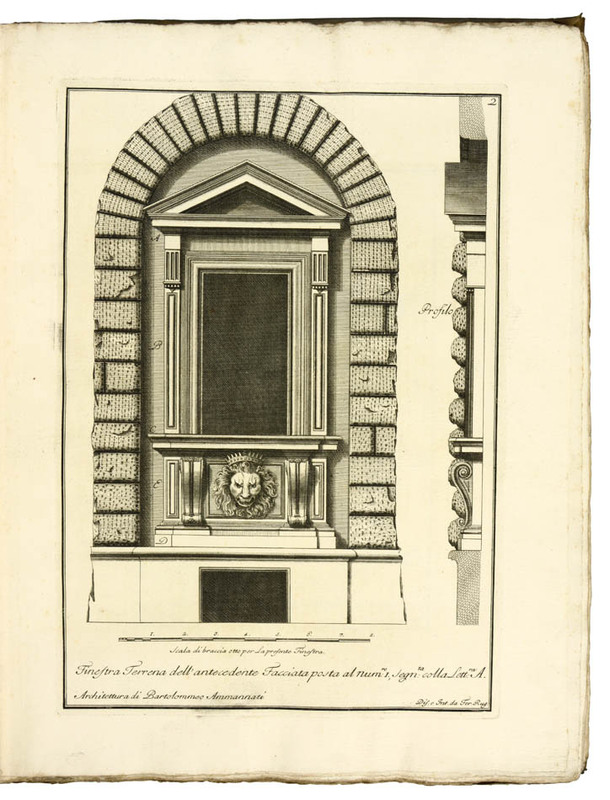 Scelta di architetture antiche e moderne della citta di Firenze. MBA002: Lot 54. RUGGIERI, Ferdinando. Scelta di architetture antiche e moderne della citta di Firenze. Send Enquiry for RUGGIERI, Ferdinando. The first combined edition of three separate works. An excellent set with fine provenance. “”The Holland House set (active 1797–1845) was a brilliant circle of whig politicians and men of letters which flourished around Henry Richard Fox, third Baron Holland, and his remarkable wife, Elizabeth Vassall Fox, Lady Holland, at their magnificent Jacobean mansion at Kensington, two miles west of Marble Arch. Holland House itself played a significant role in the development of the set. It was built c.1605 for Sir Walter Cope, father-in-law of Henry Rich, first earl of Holland, from whose descendants it was purchased by Holland&apos;s grandfather, Henry Fox, first Baron Holland. The family title, though nominally referring to Lincolnshire, was, in fact, derived from the London house. 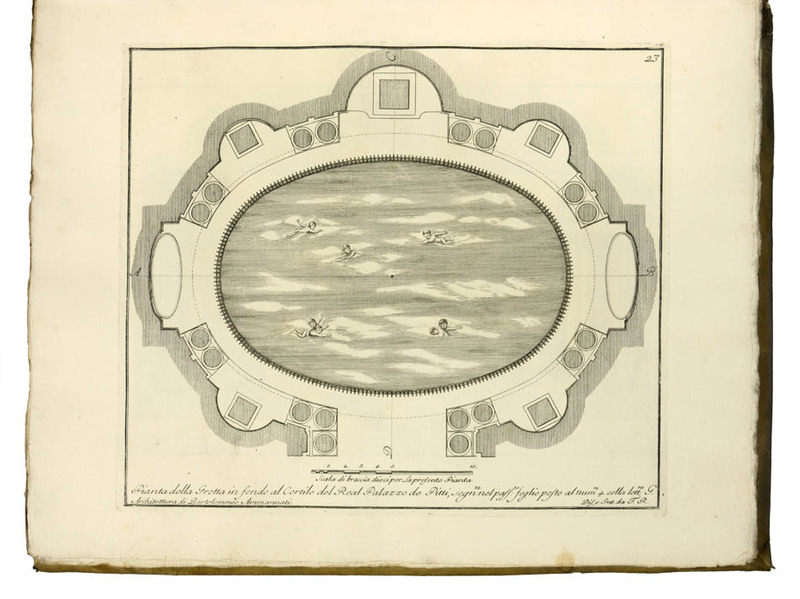 The set&apos;s interest in literature—the library at Holland House was extensive and well used—embraced the classics, the Renaissance, and the Augustan period. The glamour of the house was enhanced by its association with the essayist and statesman Joseph Addison, who had lived and died there”” (ODNB). 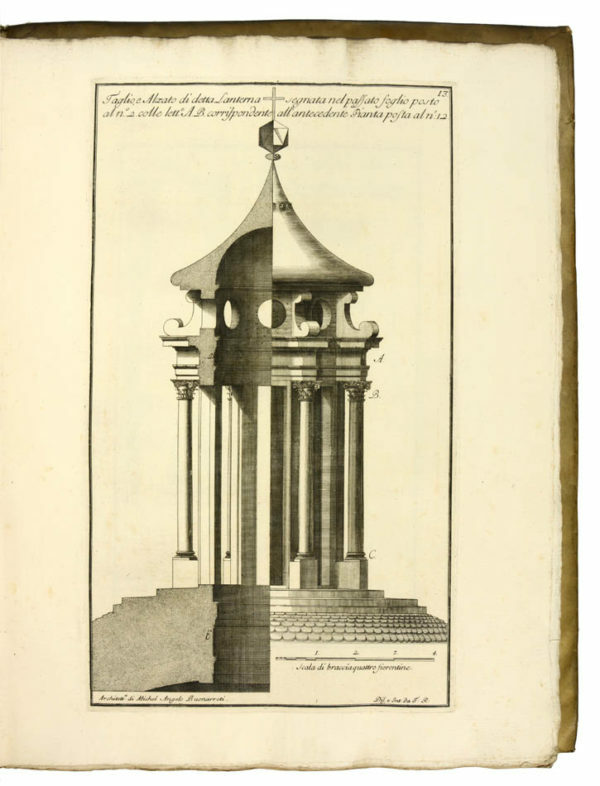 The present work is the posthumous edition of Ruggieri&apos;s Studio d&apos;architettura civile, a collection of illustrations of Florentine architecture, first published between 1722 and 1728, Descrizionee studj della insigne fabbrica .. first published in 1733., and another work first published in Florence in 1739. 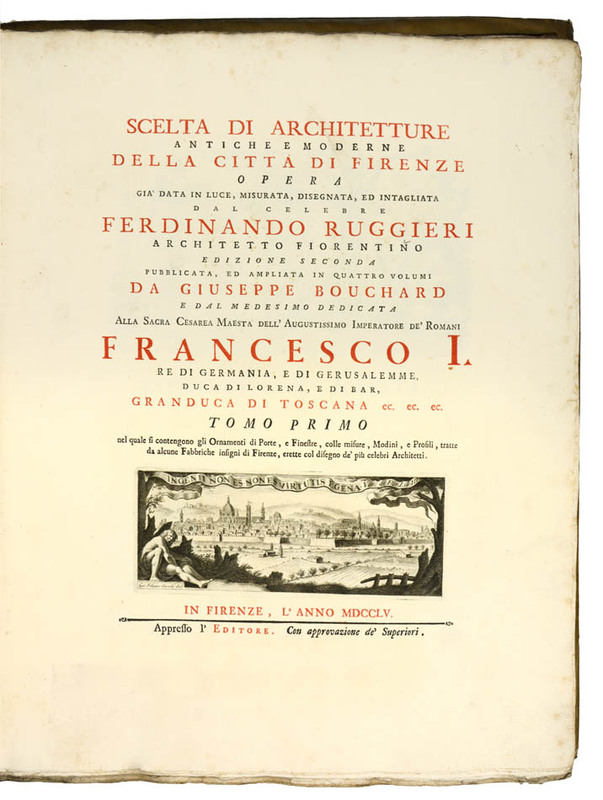 Ruggieri was the most distinguished architect of Florence at time when almost no new building took place. 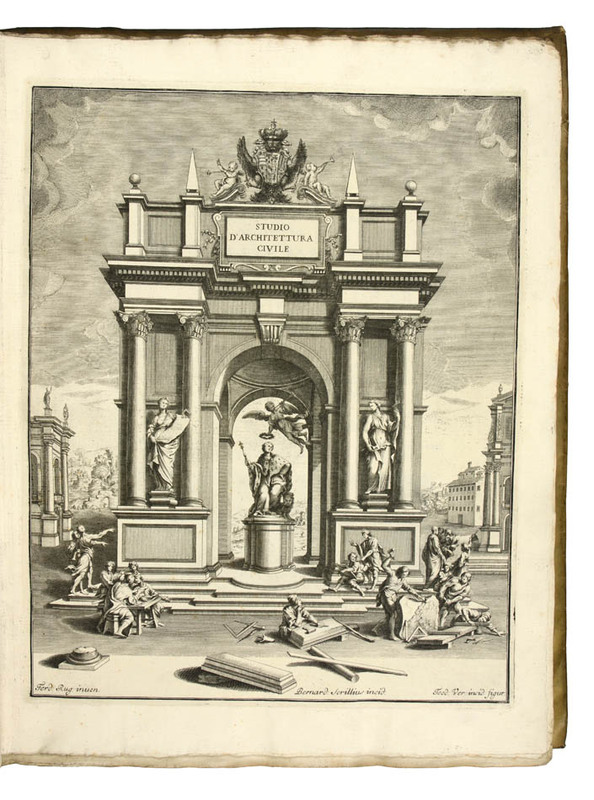 Born in 1687 Ruggieri studied with Giovanni Battista Foggini in Florence, then surveyed and drew in Rome the most outstanding ruins of antiquity. Ruggieri places an emphasis on local building traditions and the talent of Florentine architects. 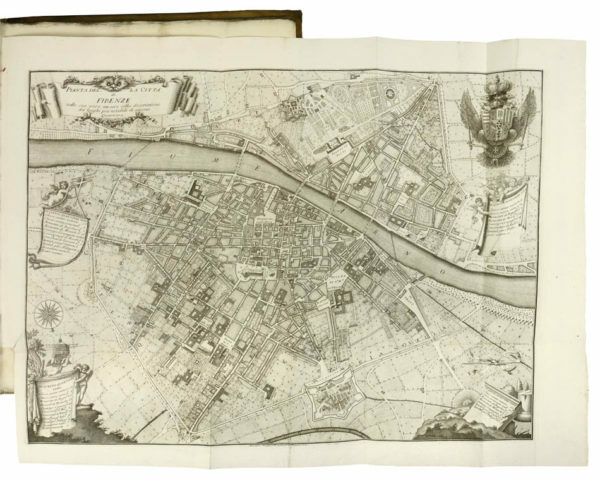 It subdivides the buildings into their constituent parts as taught in the Accademia del Disegno in Florence. These plates made the buildings widely known at a time when Florence was part of the Grand Tour and their publication provided visitors with suitably portable souvenirs of their visit. 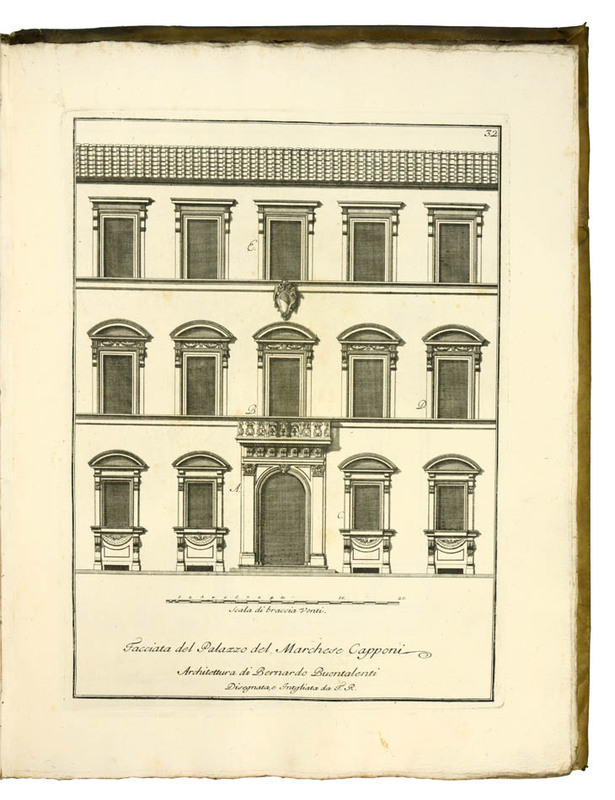 In this way florentine architecture was able to influebce buildings in far-flung German and English country houses. 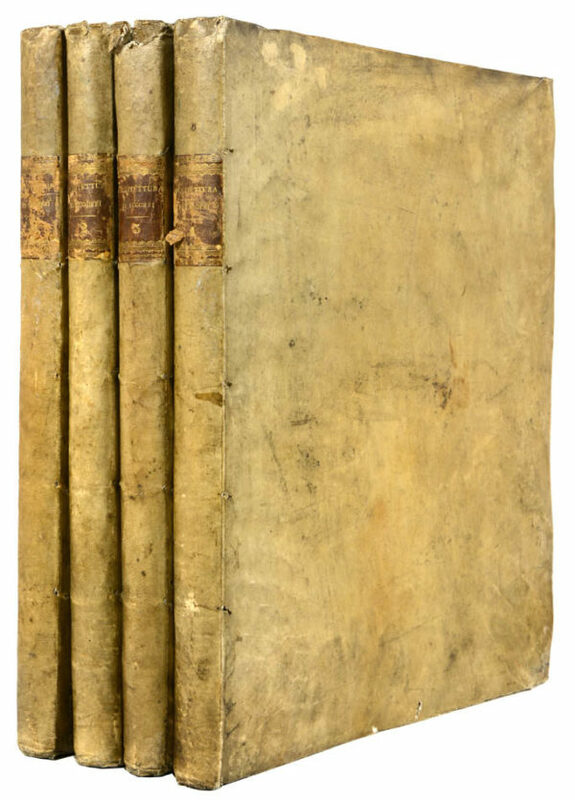 Four volumes, folio (49.1 x 38.6 cm), small cancel slip pasted in the dedication correcting the publisher&apos;s name, titles with etched vignettes, 4 additional engraved titles, engraved folding plan of Florence, and 282 engraved plates, some of these double-page, vol. 4 part 1 lacking additional engraved title but probably never present in this copy, one plate in vol. 4 with the margin renewed at an early date, occasional marginal dampstaining, contemporary vellum, gilt spine labels, a little worn and soiled. Provenance: The Lord Holland, later Earls of Ilchester (Holland House engraved bookplate).